Thursday evening 7.00pm Duplicate, until about 10.30pm. Saturday afternoon 1.00pm Duplicate, until about 4.30pm. All sessions are held at the Over 50s club room, Wills Terrace (opposite the Todd Tavern, at the northern end of Todd Mall). Players younger than 50 also welcome. For Duplicate sessions please arrive before start time. Note: Partners are necessary for Duplicate Sessions on Thursday and Saturday, so if you are a visitor please ring 89524061 or 0409 677 356 (Eileen) or 89523280 (Stephanie) and we will endeavour to find one for you! Welcome to the Alice Springs Bridge Club! As a group of people with a keen interest in bridge we love to welcome new members and visitors to our club. We play at the "Alice Springs Over 50s Community Centre" at 11 Wills Terrace, opposite the Todd Tavern at the northern end of the Todd Mall. Entrance is through the car park at the rear. 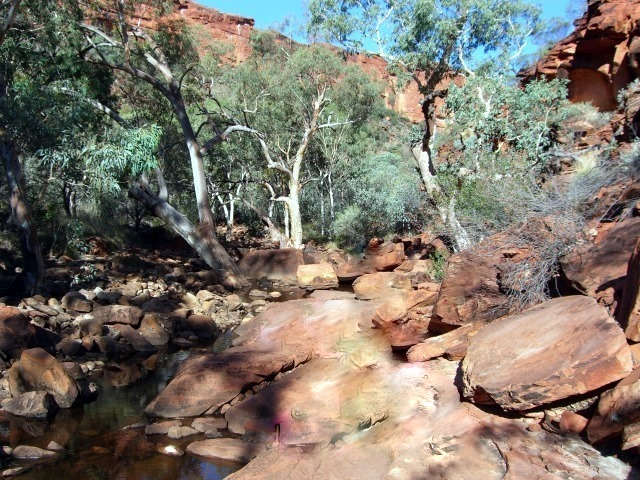 See the Northern Territory and play bridge. Copyright © 2019 Alice Springs Bridge Club. All rights reserved.